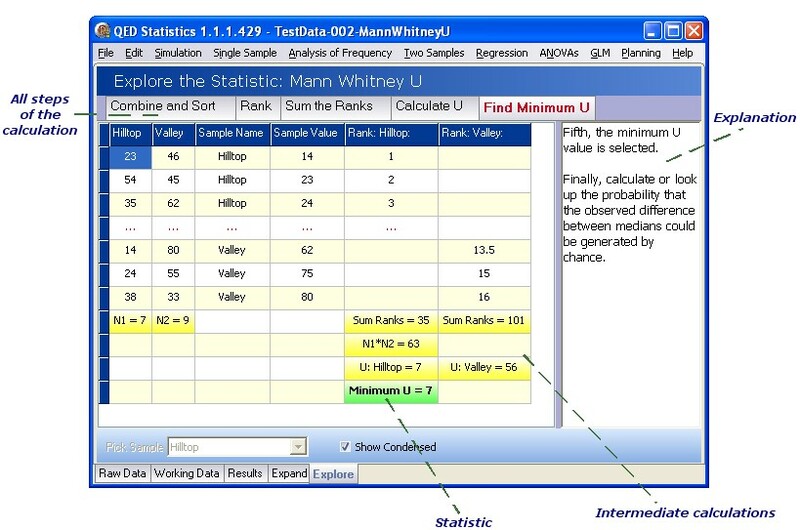 QED Statistics's Expand and Explore pages demonstrate precisely how each analysis is carried out, to ensure complete understanding of every method. Expand: shows data set statistics (sums, Nobs, ranks, etc. ), criteria, measures and probability. Explore: works through every stage of the calculation, and explains exactly what is going on. Teachers & lecturers can use these features to explain key concepts and methods. The more experienced user can understand their data and results more fully.